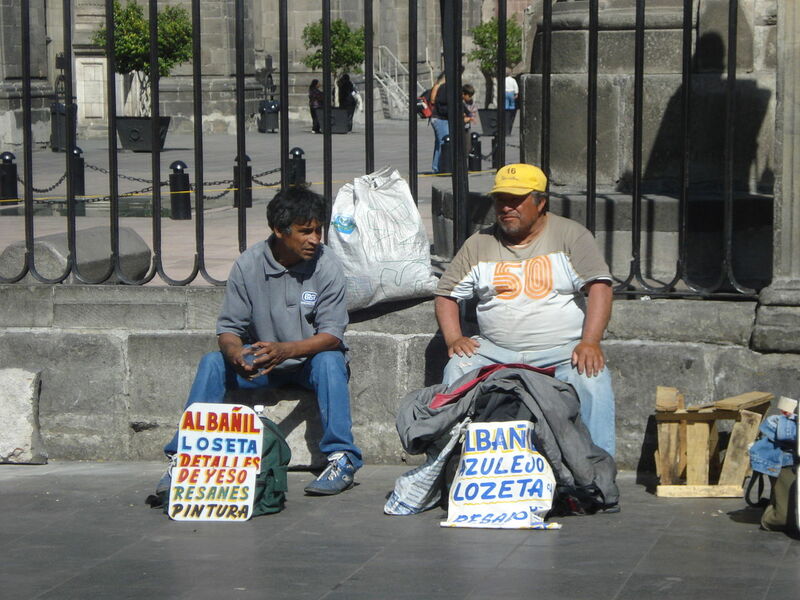 Unemployment is generally considered one of the perennial problems of the modern economy. Perhaps for that reason, there is a great deal of ‘common-sense’ knowledge about it; firstly, that high rates of unemployment are costly, secondly, that periods of unemployment impact on the finances, health and well-being of individuals. Attitudes to the unemployed themselves vary from sympathy to contempt, depending on underlying ideas about supposedly intentional ‘idleness’ and a quasi-religious opposition to sloth which still expresses the ‘Protestant work ethic’. Curiously, the phrase ‘unemployment’ is dropping slowly out of the lexicon and being replaced by the phrase ‘job-seeker’; a shift from a passive economic state to an active work-hungry disposition. Yet, both words clearly express a diagnosis and solution for the situation; the person has no work, and only a job will cure that. Furthermore, it is also well known that a certain level of unemployment is necessary to the economic system, as it provides a ready pool of labour for new businesses and enables employers to threaten to replace intransigent staff, and to bargain with unions – if and where they still exist. However, all of this is to deal with unemployment in the abstract, from a macro-economic distance, or in terms of economic actors making rational choices. Unemployment is not really a simple economic fact, solved simply by a job. 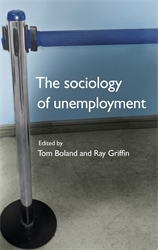 Our book, The Sociology of Unemployment, argues that ‘unemployment’ is a complex social construct, a curious and paradoxical experience which is governed by the interventions of social welfare regimes on individuals. Therefore our work draws strongly on anthropologies of experience and Foucault’s ‘Governmentality’ perspective which examines how ‘jobseekers’ are produced by institutions of surveillance, direction and punishment, and discourses from policy, politics and the media which promote certain kinds of behaviour. Empirically, we focus on the case of Ireland, where ‘active labour market policies’ which are now prevalent across the OECD were implemented swiftly from 2012 onwards. The radical transformation of welfare – from unemployed individuals with entitlements to jobseekers whose benefits became heavily contractualised was particularly striking. The sheer swiftness of the transformation from passive to an active welfare system illuminates the distinction that was more gradually perceived in the UK, USA and beyond. Our thesis is in direct contrast to the dominant sociological thinking on unemployment, ‘deprivation theory’, associated primarily with Jahoda and Marienthal, and variously added to by Fryer, Ezzy, Warr and others. Jahoda, and those following in her tradition suggest that unemployment is constituted by lack or loss, of the social goods of work, like status, community, structured routines, physical activity or agency. For decades, this seminal theory dominates our way of thinking about unemployment and its consequences. Yet, really this is just a theory of work, with unemployment as it’s opposite. Indeed deprivation theory supplies the theoretical underpinnings to current impetus towards activation policies across the OECD world. The ‘sociological’ idea of unemployment as ‘deprivation’ from work naturalises paid or entrepreneurial work as a universal social good. This feeds into moralising discourses but also government policies which attempt to ‘activate’ the unemployed, supporting or coercing them into returning to the labour market. Thus, retraining for new careers demanded by the market, accepting internships or precarious work becomes compulsory. This pressure moves from policy to ‘street-level’ bureaucratic processes and the surrounding culture; and all apparently for the benefit of ‘job-seekers’, as a job is the only cure to their condition. Across our multiple datasets, we found that these new active welfare regimes exacerbate and active create the suffering of the unemployed. Whatever their own character or circumstances, applicants were subjected to scrutiny, presumed to be potential idlers or even fraudsters. Every communication carried a threat of sanctions. Many resented and resisted these pressures, others were more easily co-opted and subjectified, expressing their gratitude at being placed in a ‘scheme’ usually basic training of limited market utility. The strength of the book is two-fold. First, chapter, by chapter it assembles a wide range of research approaches to understanding the experience of unemployment. Secondly, from these multiple perspectives a comprehensive theory of the sociology of unemployment emerges- one that reminds all that unemployment is a concept invented by the state; and the experience of unemployment is thus created by governmental power.